Apple yesterday announced a new MacBook that’s thinner and lighter than the existing MacBook Air. It’s got some impressive new features, but Apple’s focus on making things smaller still has a barrier: batteries. 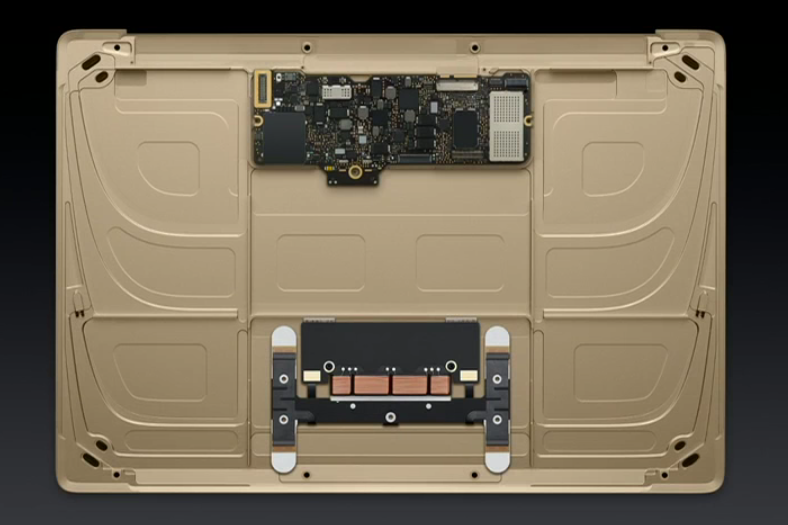 The picture above illustrates just how much companies like Apple have managed to shrink the actual computer parts of a device. It seems crazy to me that the part of the laptop that actually does the heavy lifting doesn’t even take a quarter of the space and that somehow, after all these years, batteries still take the bulk of the room. The battery problem isn’t simply a longevity one — I still dream of a laptop I can charge once a week, but that’s a long way off — it’s also a massive design problem. It’s hard to make smaller computers in interesting form factors when you have to put that pesky battery somewhere. Apple worked around this to an extent by creating batteries in sheets and layering them to the entire length of the device, which is smart, but imagine what would be possible if we could get the same capacity into half the size, or smaller. To Apple’s credit, nine hours of battery life on the new MacBook isn’t bad, but it’s also not a departure from anything we’ve become accustomed to expect. Eight years ago the company quoted four to five hours of battery life in the original black and white MacBook line, so an improvement of fifty percent may seem impressive, but almost none of it can be attributed to battery technology improvements. Intel’s chipsets have been steadily marching towards increased power efficiency with efforts ramping up in recent times, along with improvements in display technologies and other chipsets. How about batteries? Well, nothing really changed. Here’s the thing: there are some better battery ideas floating around. A new Lithium-Ion battery technology touts 2,000 times more power but is a long, long wait away. Meanwhile, graphene-based batteries offer an unprecedented amount of battery life between charges, but are really hard to mass produce. 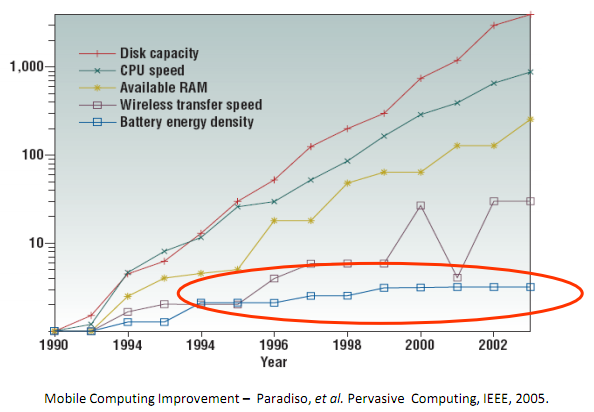 Optimistic estimates put the next major battery invention at five to ten years away. That’s a long time to wait while charging your phone and laptop every day. The problem is that the chemistry, technology and ramp-up to mass production is such a long, complicated and safety-tested process that it can’t simply happen overnight. It’s not that nobody’s working on it — although there is a shortage of funding — it’s just not as easy as producing the newest laptop or smartphone is. Batteries are the core of… well, everything. It’s just not clear who’s going to actually win that race, or if it’ll be any time soon. Read next: Transform your Mac keyboard into a universe of emoji, because why not?